You are here: Home » How can humanitarian and foreign aid policy become evidence-based? How can humanitarian and foreign aid policy become evidence-based? If the world were devoid of politics, it would not be difficult for humanitarian and foreign aid policy to be evidence-based: simply gather and use the best information available. As Philip Davies describes, this can involve: (a) combining statistical data from population surveys with administrative data and interviews, to determine the size and cause of the problem; (b) using the best techniques – including the systematic review of scientific studies, driven by scientific criteria to determine which of these studies are the highest quality – to determine the most effective solution; and, (c) getting the most important policymakers to select and fund the best solutions to the most important problems. My impression is that many people in the scientific community like this image a lot. It certainly fits a view of decision-making, associated with ‘evidence based medicine’ (EBM), in which there is an often-agreed-upon standard by which to judge key aspects of this process, including a hierarchy of evidence and evidence gathering techniques to use when evaluating policy solutions. So, when comparing EBM-inspired models for foreign aid to real world ‘evidence based policymaking’ (EBPM), such researchers may get frustrated. While promoting the best use of evidence to solve the world’s most pressing problems in the most effective way, they will often feel that politics gets in the way. They’ll feel that elected politicians or state bureaucrats don’t recognise how pressing the problems are, or don’t know how to make the best choices, even though we are explaining things to them in a more simple way than we would like, and encouraging them to think like scientists. There are many ‘barriers’ to overcome before we can produce real EBPM. In that context, it is useful to take a different starting point, to consider why we have democratic political systems in the first place. In any society it is inevitable that people hold different beliefs and preferences, and political choices produce winners and losers. Therefore, political systems are built on the rules and principles designed to produce fair choices: we elect governments to resolve disputes and make choices on behalf of the population, and draw on governance principles (and pragmatism) to share that power across many levels and types of government. From that starting point, our initial question may not be ‘what is the evidence?’. Instead, we want to know how policymakers turn an almost infinite number of problems into a small number that will receive high attention, how they and their voters understand those problems, and which actors are most involved in the making and delivery of policy to try to solve them. Only then will we know how to tell a persuasive story about the size of a policy problem and how best to solve it, and who to approach with that story. Without this shift in mind-set, and the investment of time to understand the policy process, advocates of ‘the evidence’ may remain frustrated. So, instead of asking how to make humanitarian and foreign aid policymaking more ‘evidence-based’, and referring to an artificial ideal that will never exist, we need to ask how evidence enthusiasts can adapt their thinking to fit into the real world of politics. I expand on these arguments, and identify pragmatic strategies, in more depth here. Paul Cairney is Professor of Politics and Public Policy, University of Stirling. 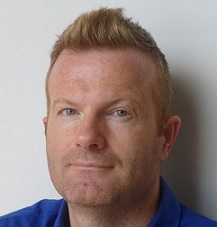 His blog on public policy is here – https://paulcairney.wordpress.com/ – and his twitter is @Cairneypaul. His research interests include: comparing theories on evidence and policy (The Politics of Evidence-Based Policymaking, 2016, and Understanding Public Policy, 2012); and the use of evidence to promote tobacco control (Global Tobacco Control, 2012, with Studlar and Mamudu), ‘prevention’ policies, and fracking.